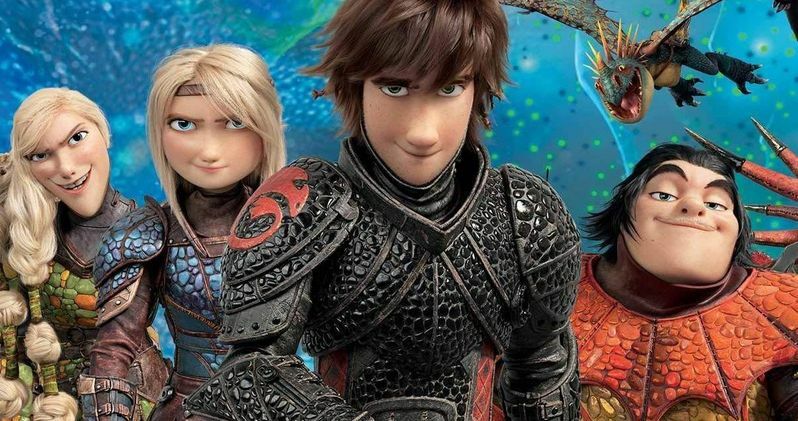 DreamWorks has reason to celebrate as How to Train Your Dragon: The Hidden World has come out on top of the competition at the box office for the second weekend in a row. The third entry in the studio's very popular and successful franchise brought in $30 million in its second frame to pretty easily best this weekend's newcomers. The Dean DeBlois-directed finale to the epic animated trilogy has now already grossed $375 million worldwide, which puts it on track to possibly best the total grosses of its predecessors. As expected, Tyler Perry's a Madea Family Funeral, which is positioned as the final entry in his long-running movie series centered on the popular Madea character, landed in the number two spot. The movie did slightly better than expected, bringing in $27 million. Perry has proved time and time again over the years that his built-in audience will show up and the fact that this was billed as the swan song for Madea seemed to help give it that extra little kick. Alita: Battle Angel finished at number three with $7 million. That now brings the expensive sci-fi epic from director Robert Rodriguez just a little bit closer to not being a total trainwreck. It's now earned $72.2 million domestically and $278.2 million internationally for a $350.4 million global box office tally. Still, measured against its $170 million production budget (before marketing) it's still got a long way to go. The LEGO Movie 2: The Second Part landed at number four with $6.6 million and has now accumulated a less-than-impressive $152.7 million worldwide since its February 8 release. Green Book, following its controversial Best Picture win at the Oscars, got a nice bump and earned another $4.7 million this weekend, bringing its total to $188 million. Against a $23 million budget, that makes this a very successful endeavor for Universal. Coming in just behind the Oscar winner is the Dwayne Johnson-produced Paige biopic Fighting With My Family, which had a nice holdover and earned an additional $4.69 million in its second weekend of wide release. Strong reviews and positive word of mouth have benefited the wrestling dramedy, which is written and directed by Stephen Merchant. This weekend's other new wide release, the horror/thriller Greta, fell short of expectations with just $4.5 million. Middling reviews didn't do it any favors. It was bested by Isn't It Romantic ($4.6 million) in its third weekend. What Men Want ($2.7 million) and Happy Death Day 2U ($2.5 million) rounded out the top ten. Looking ahead to next weekend, the box office will get a major shot in the arm as Marvel's latest Captain Marvel arrives. But just how high can Carol Danvers fly? These numbers come to us courtesy of Box Office Mojo.